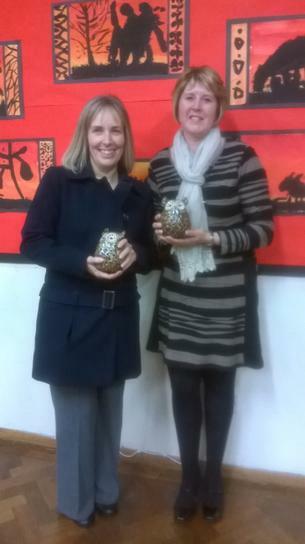 This evening, after many years as valued members of the Friends of Walesby School (F.O.W.S), Mrs Michelle Thorpe and Mrs Cheryl Smith have sadly decided to step down from the team. Over the years, they have been instrumental in organising many Christmas fairs, Easter egg hunts, games nights, discos and other exciting fundraising events. They have baked, shopped, bartered, wrapped, cleaned, tidied, and most importantly, impacted on all of our children's lives; raising much needed funds to provide the ‘ fun extras’ that make learning more interesting and exciting. A huge 'Thank You' to Michelle and Cheryl. We are most grateful for your time and commitment to Walesby. Take care. We will miss you.